It's been great to hear how people are getting on with the challenge so far. Particular shout out to some of my instagram family - @anemistyle @quirkyyoungmum @growinginchrist @mfoluwa @queenmoremi - and everyone else taking part. Today's recipe is simple, nutritious, sugar-free and a delicious breakfast or 'on-the-go' snack option. Mix all the ingredients together in a large bowl and allow to soak and infuse for 10 minutes. Spread the mixture evenly into a large, rectangular baking pan. Bake for 4 mins, gas mark 5 until lightly browned on top. Take it out, leave to cool for an hour, cut the bars into smaller rectangles, flip them over in the pan and double bake in the oven for another 15 mins. Once cooled, store in an airtight container, keep in a cool place, and consume within 2-3 days. This post is very nice. 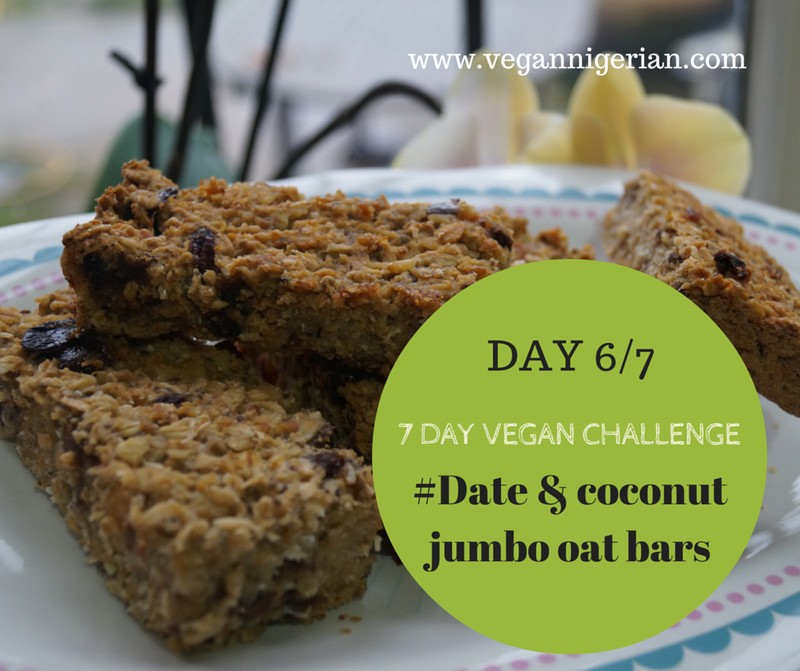 DATE AND COCONUT JUMBO OAT BARS is very delicious to look at. Thank you for sharing the ingredients and recipe. I can't wait to try this. Hope your next recipe will published soon.